The die and rollers are the most wearing parts of the pellet mill, especially for a large biomass pellet production line. 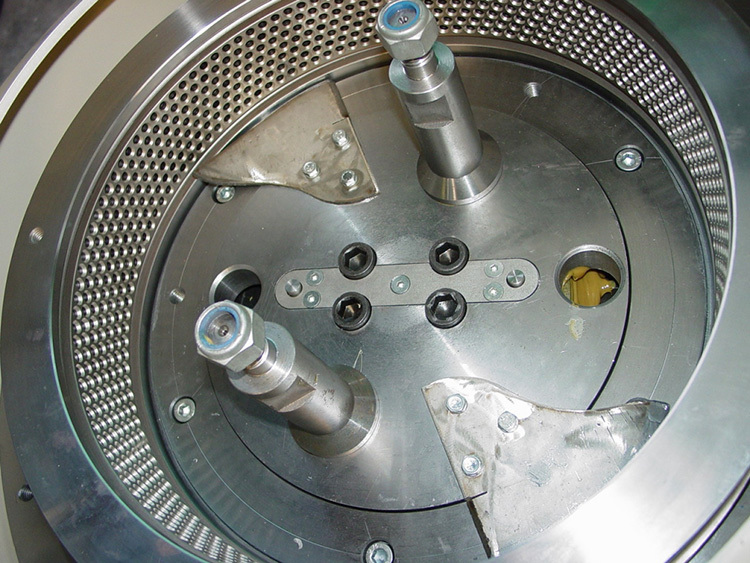 The high quality dies and rollers help defining the capacity and economy performance of the industrial pellet plants. By adapting the advanced manufacturing technology around the world, together with the researches of the development department, GEMCO always stand at the front of the industry. Also, GEMCO spare parts for pellet mills can be customized. The name “ring die pellet mill” is named after the shape of the pellet mill dies, which is the main part for large pellet mills. 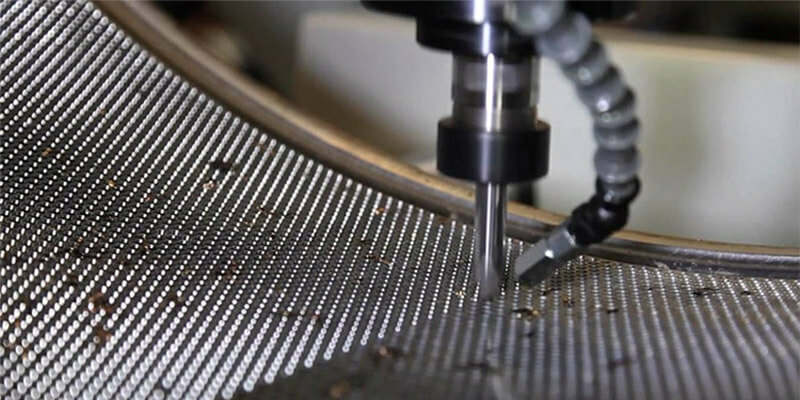 As the main wear parts during wood pellet production, pellet mill ring dies must maintain good mechanical properties in order to enhance the serve life. In some ways, ring die quality determines the productivity and cost of the complete wood pellet plant. A good quality ring die can produce uniformed wood pellet stably, and good quality ring dies surely have longer serve life, which means lower pellet production cost. A bad quality ring die not only has shorter serve life, but also can cause some dangers during pellet production. If the ring die cracks during wood pellet production process, the pellet production must be suspended, and it can also cause the ring die pellet mill breakdown, so the maintenance fee rise. As a leading pellet plant provider in China, Gemco provides quality ring dies for large scale pellet production, which can help you maintain stable wood pellet production and less maintenance cost. Gemco pellet mill ring die adopts totally automatic manufacturing process to maintain the quality stability of ring dies. 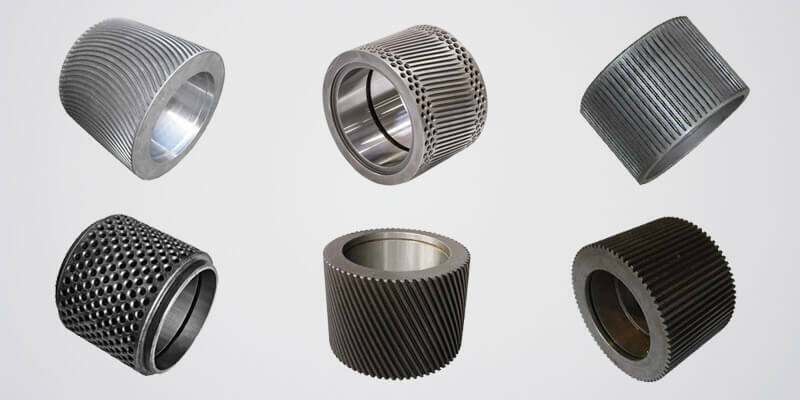 The complete pellet mill ring die manufacture process includes the following steps: billet steel forging – lathing – punching – hole drilling – heat treatment – final machining. Gemco pellet mill ring dies are made of quality stainless steel or alloy steel, and the size of die holes can be customized, too. So the wood pellet manufacturers can choose the suitable ring dies based on their own requirements. 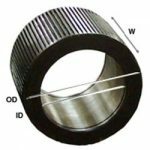 Ring die compression ratio determines the density of pellet products. 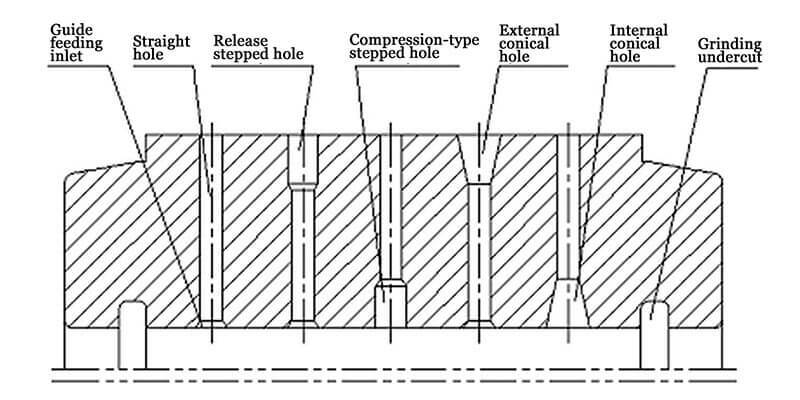 The compression ratio of ring die must determined by the raw material you use and the pellet types you make. 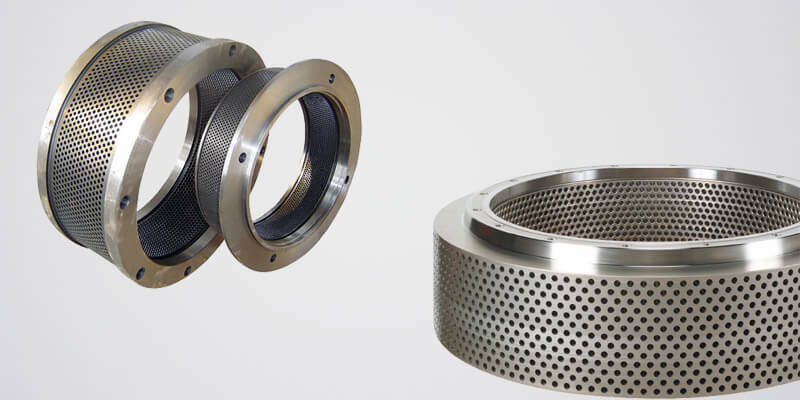 Gemco pellet mill ring die provides custom compression ratios, which fits your raw material perfectly. High quality forging piece. Normally, the high chrome alloy steel or stainless steel are used to make GEMCO ring dies. In order to maintain a better quality, the small aperture ring die is made from imported forgeable piece. Better mechanical property. The ring die is manufacturing through the rolling process. Better rigidity control of the semi-finished product. The rigidity of the semi-finished ring die product is about HB170-220. High abrasion and corrosion resistance. The semi-finished product is manufacturing through the vacuum heat treatment. Gemco pellet mill roller assemble includes pellet mill rollers and roller shells. There is no direct contact between the axle of rollers and the raw materials, so pellet mill roller axle is not the most wearing parts. On the contrary, roller shell contacts with raw materials and ring dies directly, so it can be wore heavily. For pellet plants, with a certain quantity of wood pellet production, the worn roller shells must be replaced, otherwise, it will effect the wood pellet production performance. The basic shape of pellet mill rollers are similar, but the patterns on the surface of roller shells are different, such as corrugated pattern, oblique shaped, honeycomb shaped, etc. Among all these different types of roller shells, corrugated roller shells are the most popular pellet mill roller shells. Normally, the corrugated roller shells can be divided as open end corrugated roller shell and closed end corrugated roller shell. But closed end corrugated roller shell is mostly used to fish feed pellet mill. If you are buying the replacement pellet mill roller shells along with ring die pellet mill, our sales managers will pair the suitable roller sheller for you. But if you only intend to buy some pellet mill spare parts to replace your old ones, then you have to offer several detail roller shell specifications so that we can match the suitable roller shells for you. Better raw materials. 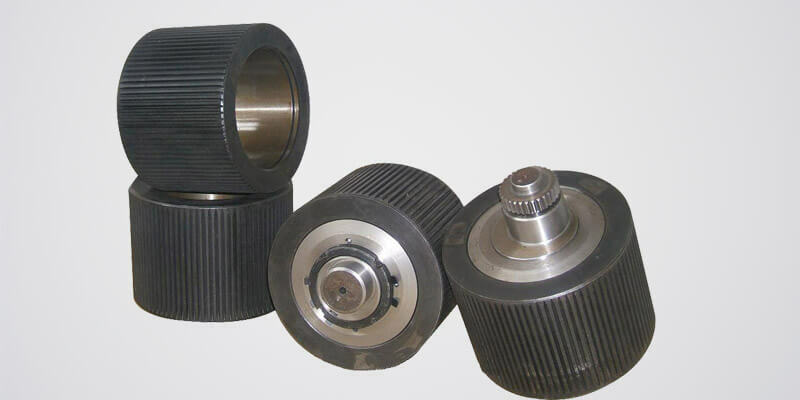 The rollers for ring die pellet mill is made from high quality bearing steel.